The fixtures for the first league campaign of the Argentine season have been announced in the last week. 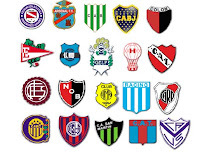 A full list can be found on the Associacion del Futbol Argentino website. The one that most will be looking for is the clash of the traditional Buenos Aires giants River Plate and Boca Juniors. River host the game, to be played on the 07 October 2007, leaving the return clash for the Clausura in 2008.